Whether you’ve never set foot in a gym but want to become more active or you’re just getting back into working out, you are on the right path to a healthier and happier lifestyle. There are numerous benefits to regular exercise, most notably weight loss, a healthier heart, more energy and improved mood. However, if you’re starting from scratch, a small mistake at the gym can turn into a much larger injury. Below are a few workout tips for beginners to help you create healthy and safe gym habits for a new workout regimen. While it may not be fun to step onto the scale or take other measurements, it is crucially important to ensure you don’t injure yourself at the gym. Starting a new fitness regimen is going to involve pushing yourself and challenging what you think you’re able to physically do. And while it’s admirable to want to take your routine to the max, everyone has a limit, and taking these measurements will help you determine what yours is so you don’t literally push yourself to the breaking point. For example, before you begin a new workout regimen, you should know what your maximum heart rate should be so you don’t push yourself too far. A good way to estimate this number is to subtract your age from 220.
workout routine, be sure to let your body warm up before a workout and cool down afterwards. These warm ups and cool downs don’t have to take a long time, just five to 10 minutes of moderate movement and stretching should do the trick. These extra few minutes are a small price to pay and well worth it. If you plan to do any sort of intense exercise to shed pounds, not letting your body adjust to the intensity of your workout could result in muscle (and other) injury that could prevent you from working out at all for quite a while. 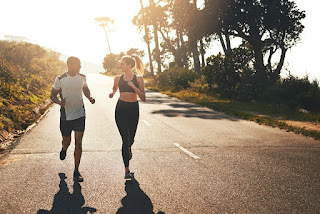 Additionally, if you don’t do some light exercise to let your body slowly come back down to its normal level of activity after a workout, you risk fainting from the abrupt change of pace. As a culture, we have come to expect instant results no matter what is we’re doing. However, when it comes to starting a new workout regimen, you have to be patient and set realistic goals if you want to see healthy and sustained success. You shouldn’t be discouraged if you don’t see noticeable changes within the first few weeks of your routine – to do so would not be natural. If you push yourself too hard because you want faster results, you risk seriously injuring yourself and rendering yourself unable to work out at all. So, keep at it and be patient. You’ll be rewarded down the line with healthy and sustainable exercise habits. While it seems obvious, it is paramount that you follow the rules and instructions of your gym’s equipment if you choose to lift weights or use one of their aerobic exercise machines. Be sure you are following all necessary safety precautions, whether by having a spotter for a bench press or knowing how to use the emergency stop function on a treadmill. It is easy to ignore these precautions; however, the injuries you could get from not properly using these machines might put you out of the gym for a few days, weeks or even longer. Congratulations! By reading this blog, you’re already taking the first steps to starting a new healthy lifestyle. These tips may add a few minutes and a little extra work to your overall routine, but the benefits of healthy and sustainable exercise habits far outweigh the costs. And as always, MMAR Medical Group is here to help along the way as you work toward your health and fitness goals, and we have a wide range of orthopedic products and accessories if you do have an injury to mend.